A Pennsylvania native, Phil joined the Greenhouse in 2012 and began serving as lay leader (catechist) at Redeemer Anglican Church the following year. 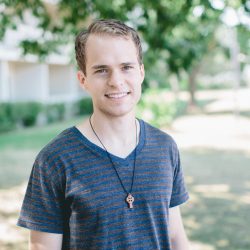 After a year at the Bridge Church in Crystal Lake, he and his wife, August, have returned to Redeemer and are beginning outreach at North Park University (their alma mater) in the fall. Phil is currently working on his M.Div. at Northern Seminary in Lombard.